Desperateblogger (that' s me! ) got this award from bluedreamer27. He conducted a contest wherein bloggers submit their top 5 favorite blogs. I ranked 5th. 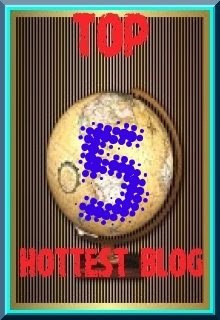 Actually, there were a number of blogs who ranked 5th. Anyway, the important thing is, I got an award. Thank you fellow bloggers!